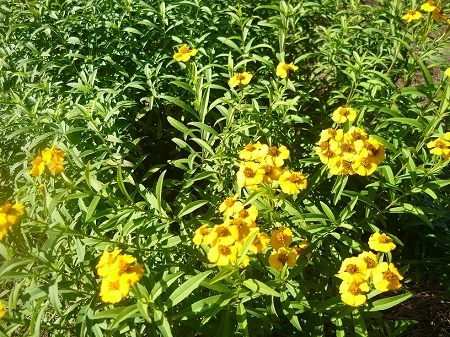 Texas Tarragon (tagetes lucida) Also called "Mexican Tarragon" or sometimes "Mexican Marigold". Flavor is very close to French Tarragon and is used as a Tarragon substitute in very warm climates where true French Tarragon is difficult to grow. Has beautiful bright yellow flowers when in bloom. Perennial zones 10-11+. Live plant in 3 inch container. I've bought a bunch of herbs and left them out in the garden over the winter to see what would live and what wouldn't. Most of what survives the hot summers dies in the winter, but this makes it through both just fine. It's quite happy in the darker part of the garden and it's been there for two years now.